A new volunteer named Sarah asked me what she could do to help me out. I told her to make me a playlist for the blog. I didn’t know what to expect. But let me tell you about this playlist: it SLAPS. 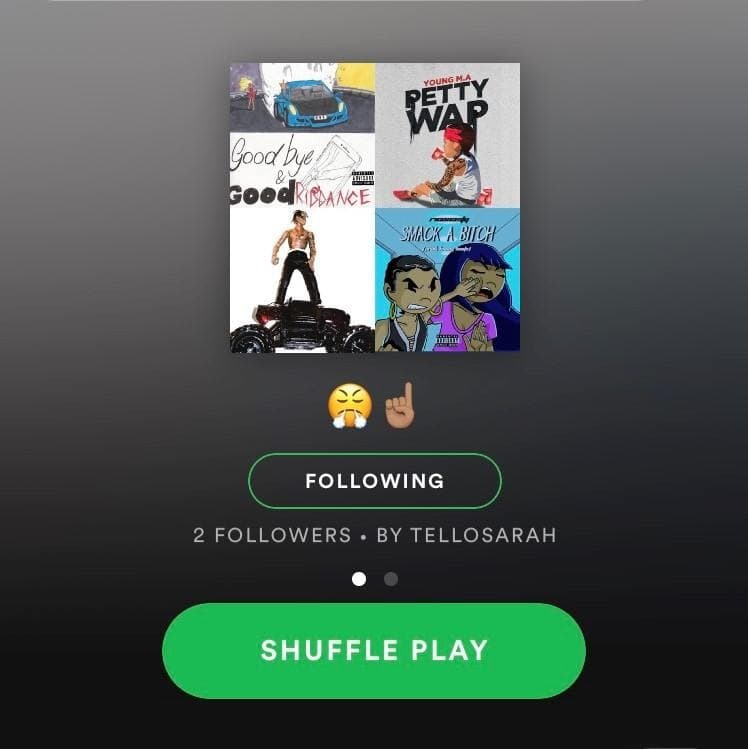 This hip hop playlist is called “this fire playlist I made of songs to turn up to,” which features Queen Beats favorites Princess Nokia and Rico Nasty, cutting edge trap from the likes of Playboi Carti and Travis Scott, and favorites within the experimental community by Baltimore rapper JPEGMAFIA. Extra New Media Director brownie points go to JPEGMAFIA and YG who remind me of my days boolin’ around in High School discovering G-Funk and Death Grips. next post: An Intro to Raveena Aurora.